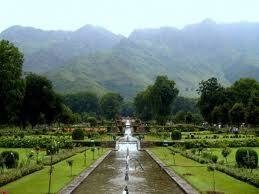 Indian Airlines operate regular daily flights to Srinagar from Delhi, Mumbai and Jammu. They leave from Delhi directly, from Delhi via Jammu, and from Bombay via New Delhi and Jammu. Jet Airways also operate daily flights to Srinagar from Delhi as well as Jammu. Indian Airlines has its city office in the Tourist Reception Centre, while the Jet Airways office is close by. Srinagar airport is 14 kms from the city. . Jammu & Kashmir State Road Transport Corporation (J&KSRTC) operates special coach services between the airport and the city. Super deluxe, A-class, B-class busses are operated by J&K SRTC as well as other transport agencies. These take approx. From Delhi an express coach service is available, which takes 26 hours to reach Srinagar at the cost per seat of Rs.750/-. For booking contact J&K SRTC Office, Kanishka Shopping Plaza, Ashok Road, New Delhi. 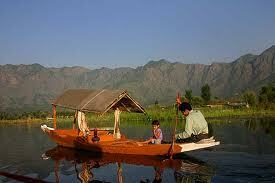 It is also possible to travel by taxi from Jammu to Srinagar in about 8 hours. If you are travelling alone, it is worth enquiring at the taxi stand in the Tourist Reception Centre, Jammu (Tel 2546266) about the availability of taking a shared taxi at an approximate cost of Rs.460/- per head in car taxi Rs. 300/- per head in Tata Sumo. For those wishing to travel to Srinagar by a private car from Jammu, there are several places en route which have been developed for the convenience of the motorist. Among them Jajjar Kotli, Kud, Pantnitop, Batote, Ramban, Banihal and Qazi Gund, all having tourist bungalows and provisions for meals, snacks, petrol pumps and repairs. Copyright � 2006-2007 Kashmir Vacations Inc. All rights reserved.